Join us for a 4 day photography expedition to the Rio Grande Valley, Texas for an opportunity to photograph wild bobcats, and other RGV wildlife. This is a one of kind itinerary designed for photographers and wildlife enthusiasts. 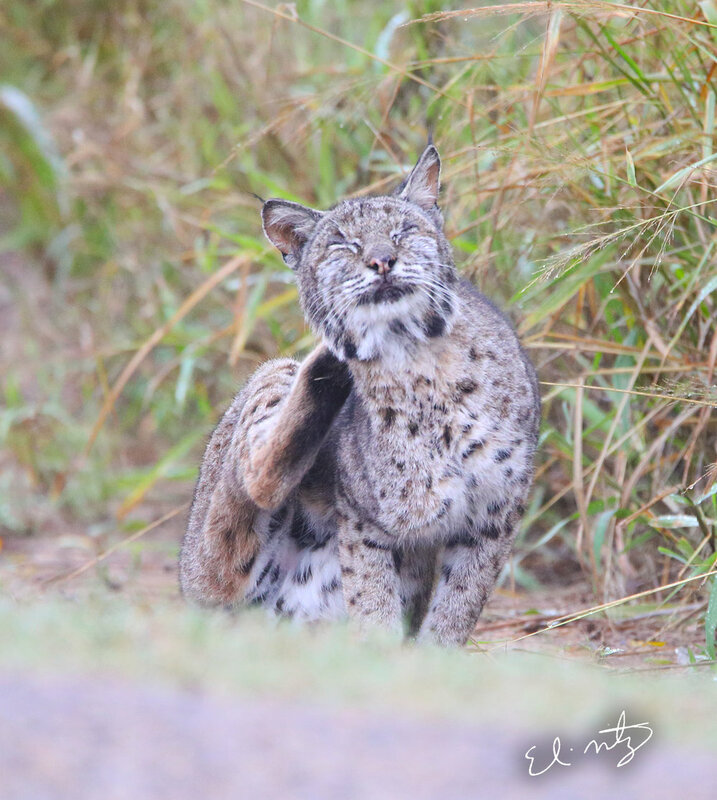 During the winter season, habituated bobcats around the Bensten State park, off Mission TX. are extremely active, hunting for the wintering migratory birds that visit the park. The Rio Grande Valley is one of the most biologically diverse areas in North America. It sits along the border between Texas and Mexico, where the Rio Grande winds its way toward the Gulf of Mexico. The Lower Rio Grande Valley (LRGV) encompasses no fewer than 11 different types of habitat, including tidal wetlands and riparian forest...and this is where we live. This variety has led to a wealth of biodiversity; the region is home to more than 1,200 different species of plants, 500 species of birds (including 40 species found nowhere else in North America), 200 vertebrate species and roughly 300 species of butterflies. Several rare, threatened and endangered species call this region home, including the ocelot, jaguarundi and the burrowing owl. $500 per person, with a 50% deposit required to reserve your spot. - Transfer from Mcallen, International airport (MFE) to hotel. - Van rides to location everyday. - Photography instruction to help you improve photo opportunities. Day 2 thru 4 - (3 days) We pick you up at 6 AM and drive to Bensten State Park to begin our morning wait for a chance to photograph wild bobcats stalking birds. While we wait, we will have an opportunity to photograph Valley specialty birds, (such as Altamira orioles, plain chacalacas, great kiskadees, golden fronted woodpeckers, and Audubon's orioles. These birds can only be found here in the Lower RGV and South of the Border. We will stay in the area seeking out bobcats till 12 noon, we then break for lunch. Snacks and drinks are included. After lunch we will visit one of the other parks in search of more wildlife; coyotes, armadillos and any birdlife you are interested in photographing. If our bobcat is a no-show during the morning, we may visit one of the other blinds in search of wild peccary (javalina) to photograph. After sunset we break for dinner, discuss the days events, look at images and plan for the morning shoot. Afterwards, we return you to your hotel to rest for the morning shoot. Day 5 - For our final day of photography, we will search for our bobcat, then spend the rest of the day seeking out other local wildlife to photograph. In the evening for our final dinner we will treat you to a homemade Texas barbecue dinner. Day 6 - We return you to the airport for your journey home. Thank you for your interest in our bobcat and bucks expedition. We will send you the details of this trip asap.